Delicious Smarties taste on a double flavor lollipop. 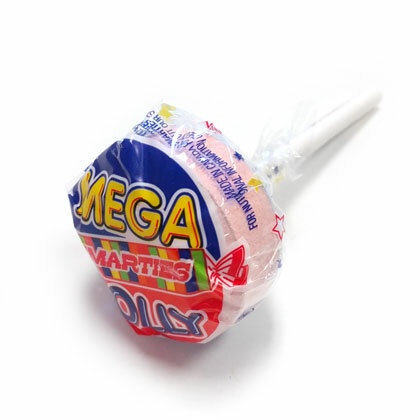 1 lollipop each. Mega sized and individually wrapped. Approx. for 1.5 inches wide.